GSI’s client-focused services are individually tailored to each client’s unique needs and strategies. California State Legislature: Not only with elected legislative representatives, but with key legislative staff and lead policy committee consultants in both the California Assembly and Senate. Yolanda has a long-standing relationship with many staff and consultants in the State Legislature because of her background and those relationships open many doors. State Government and Administration: GSI will work with their clients to identify which state departments to target, including the key legislative staff, departments and agencies that will handle the issues impacting the activities and operations member of their clients. Special Hearings: GSI will ensure that no activities, conversations or discussions are left unturned. I will stay abreast and at the forefront regarding any issues that may be part of informational or special hearing in the Legislature or the Administration. 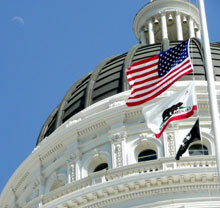 Diverse State Legislative Caucuses: With the election on November 6, 2012, California now has the largest delegation of Latino legislators in the nation, other than New Mexico. I have a strong relationship with the powerful Latino Legislative Caucus and have server as an advisor for many events and summits that have been organized for the Latino Legislative Caucus. Additionally, GSI represents their clients and work closely with the Asian, Pacific Islander (API) Legislative Caucus when appropriate to accomplish the goals for the client. There are many interactions already with these diverse caucuses and GSI will continue to keep those relationships strong.